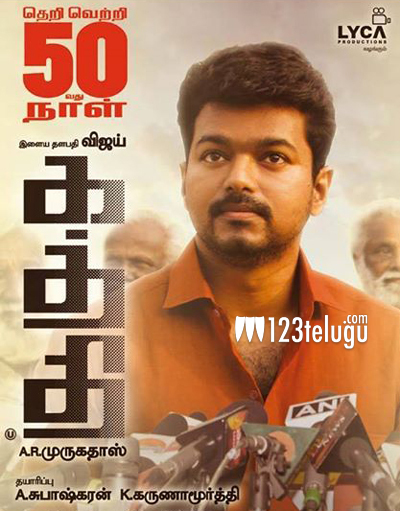 Vijay’s Kaththi, which was released worldwide on Diwali took the box office by storm. Right from the day one, this film garnered a hit talk and became the biggest hit of the year in Tamil. The A R Muragadoss directorial has now completed its 50 day run and is still going strong in some centers in Tamil Nadu. A few superstars from Tollywood have shown interest in remaking this film but nothing has been confirmed as of yet. Samantha is cast as the female lead in this film which had music by Anirudh.